Growing up in Batemans Bay on the South Coast of NSW, Thomas’ love of theatre started at the young age of seven when he joined his local amateur theatre company, The Bay Theatre Players. 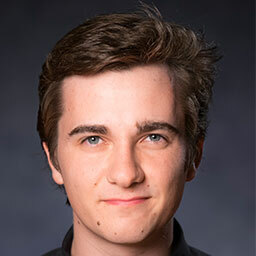 Although performing on stage, Thomas always had a passion for the technical side and quickly became an integral member of the company as a Lighting Designer for many productions. Since 2009, Tom has run his own small production business which has continued to grow. Over this time Tom has provided lighting design and production services for many acts and events across the South and Far South Coast such as Tom Burlinson, Rhonda Burchmore, Daryl Braithwaite, Thirsty Merc, Joe Camilleri and most recently James Morrison. His thirst to learn more about the professional entertainment industry and to further his dreams of working as an Event Manager and Lighting Designer is what prompted him to apply for the Bachelor of Fine Arts (Technical Theatre and Stage Management). Now in his final year, Tom looks forward to taking all the skills he has learned since his time at NIDA out into the industry where he will continue to work and grow.